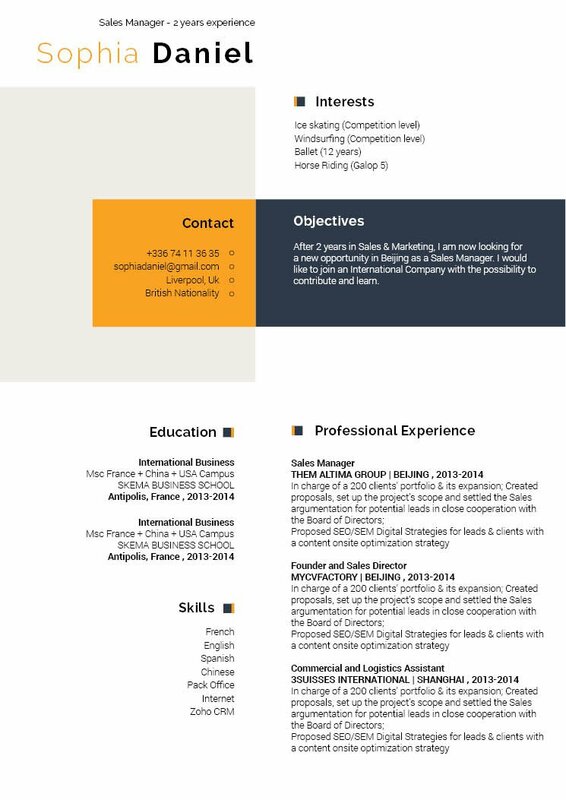 CV template to download "Wonderful"
The Wonderful Resume does an excellent job in highlighting all your qualifications! 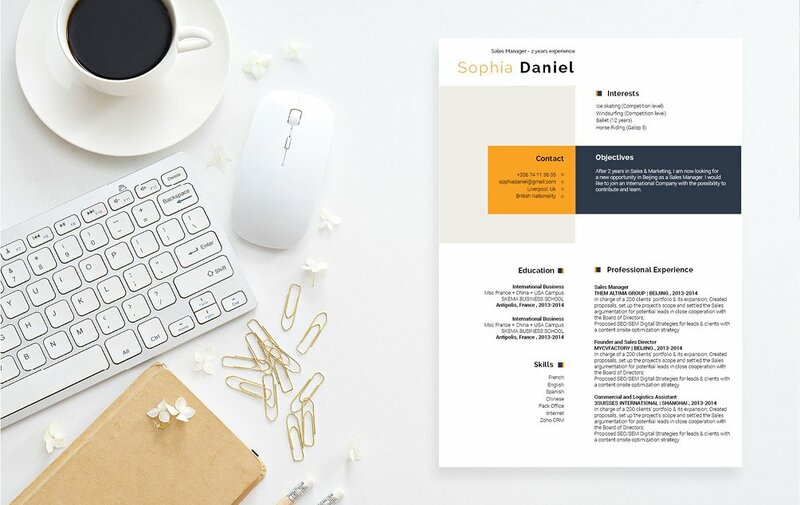 This modern resume template follows a clear chronological structure, which makes it applicable to all job types out there and is ideal for applicants with a solid work history since it shows all the important information that is relevant to your job. 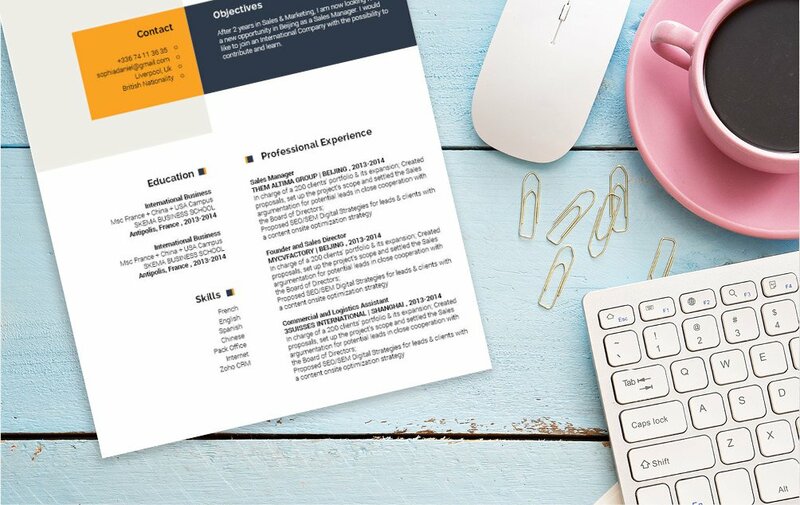 This CV also features your education and skills which could further support your already impeccable qualifications and increase your chances of getting that job! Match the need they have! Take time to review their job postings online or in the newspapers about the position that you're aiming for. Each posting usually has a brief description about the company and position available. Take note of the keywords listed in these ads, and match them to the bullet points in your resume. Chances are that most of these key words are already in your cover letter, however if you have missed any, add them to your CV. 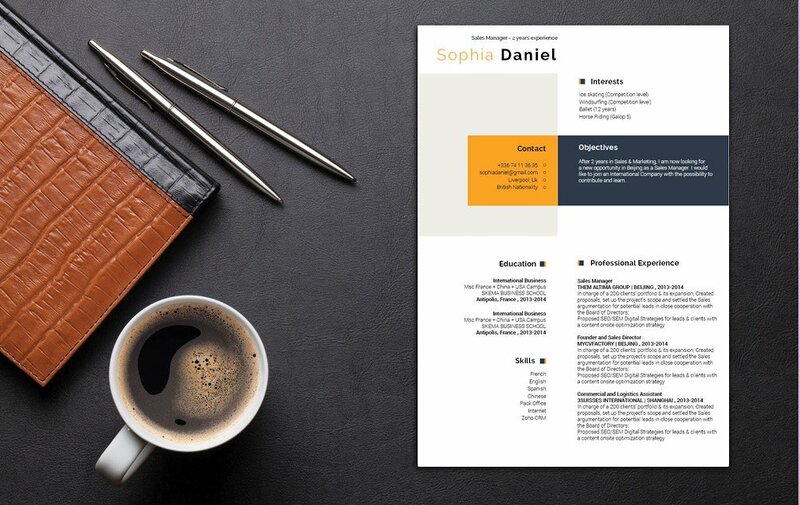 Creating a more custom resume will greatly increase your chances of an inter, as you will be a better match for the eyes of your potential employer.